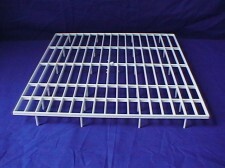 Plastic nest box grill 16 x 14. Use sheets of newspaper underneath/, for quick cleaning. Can be cut to size.